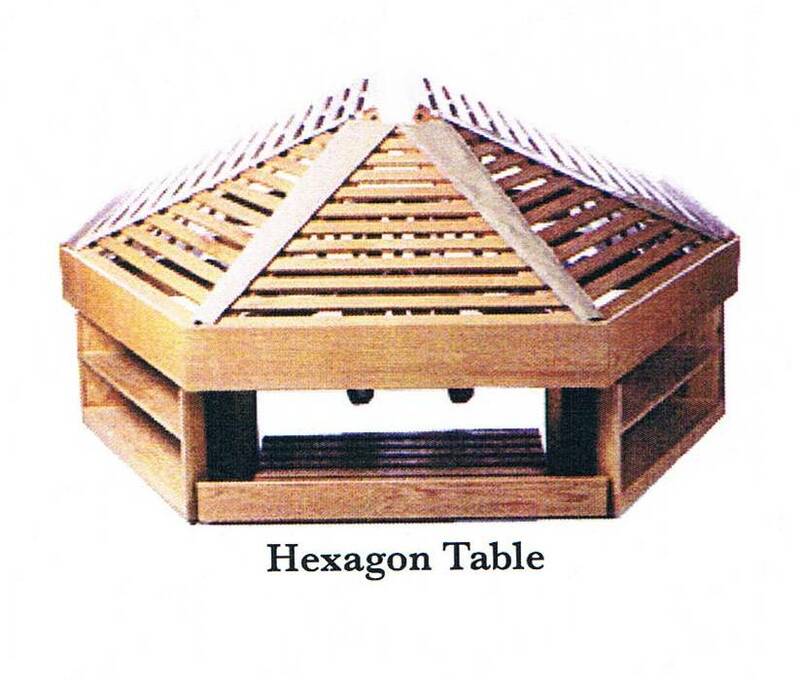 (XPB-HT1) The Hexagon Island Display Table features six sides of display area in a island angled pyramid style design. Ergonomic designed hexagon table also features below counter display shelving optimizing the opportunity for additional display. The attractive slatted angle wood design is perfect for any retail setting. Compliment the Hexagon Island Display Table with the Step Wagon Display or Triple Decker Euro Table both sold separately. For shipping quotes, orders or questions please call our Customer Service Center at 1-877-483-9270.